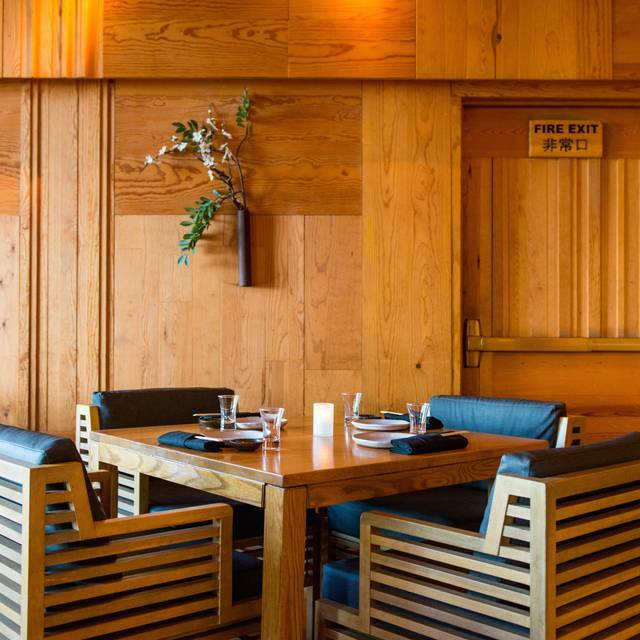 You must make reservations at least 5 minutes in advance of the time at Ozumo - San Francisco. Valet available for both Lunch and Dinner. Please contact our events coordinator, Kristan Bonde, for catering and banquet information. She can be reached via email at: kbonde@ozumo.com. We look forward to hosting your event very soon! Catering possible for all size groups. 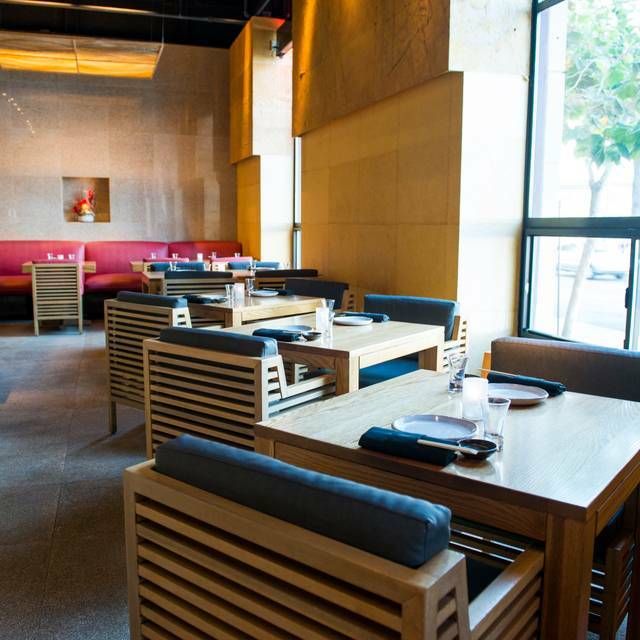 Menus can be viewed online at www.ozumo.com, in the Private Dining & Group section. Custom menus and private chef options also offered. Please call for details. 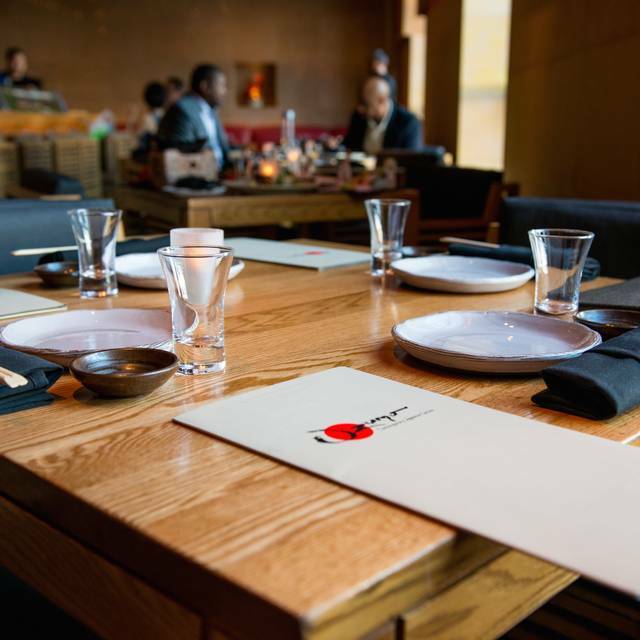 exclusive, glass-enclosed Sake Tasting Room and an elegant Kotatsu Room where guests can enjoy an authentic Japanese dining experience seated on zabuton cushions around a lowered granite table. Ozumo is the best sushi restaurant I have ever been to...maybe the best restaurant overall! 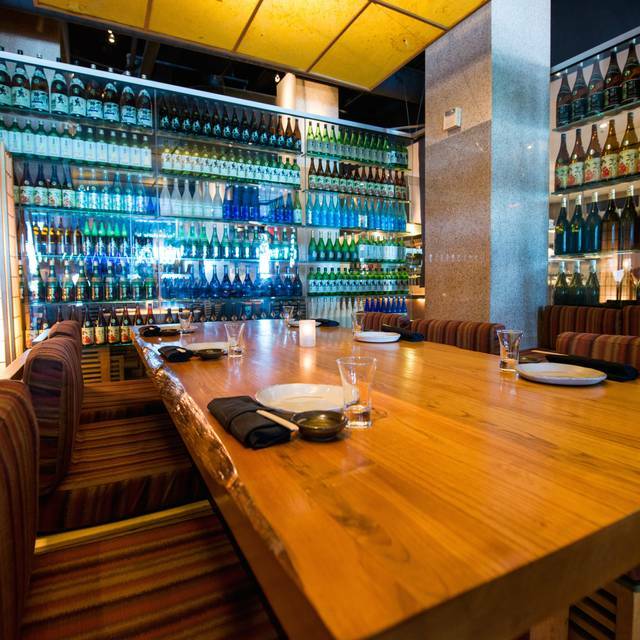 The food was outstanding, the service impeccable and the sake list remarkable! Even the bridge views from the bar are tremendous! One of the best dining experiences we've ever had. The soufflé and specialty rolls were devine! The staff was warm and welcoming and the food was off the charts fantastic!! The sushi was fresh and beautifully presented. The fish was primarily good, but two of the pieces were off. I expected better for the price point. I was there with a friend from Europe, and apparently he didn’t tip enough (we split the bill)... and the server came over to embarrass him for not leaving sufficient gratuity. How embarrassing!!! Great food, great ambiance and never disappoints. I go here every time I can while in San Francisco. We've been coming to Ozumo for a few years now. 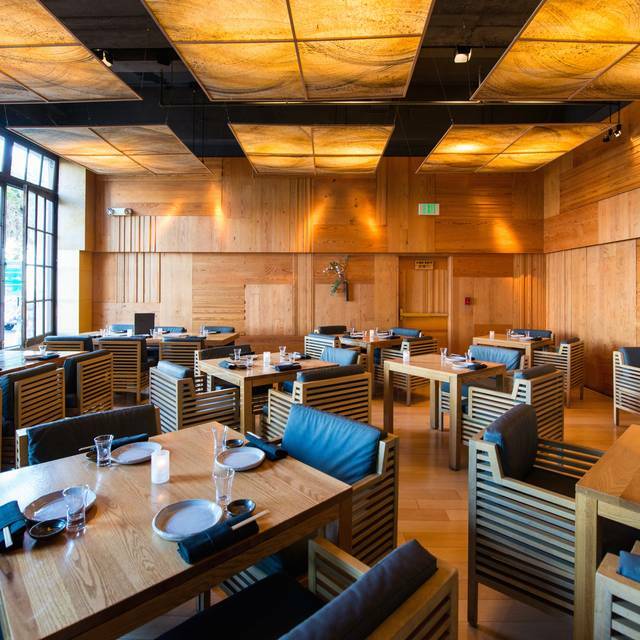 It's our favorite Japanese cuisine restaurant in San Francisco. Recently for whatever reasons they changed many of the dishes we love and always order. The Hanabi, which used to be awesome along withe the Dhoyo and Buta Abara were all changed significantly and not in a good way. Not sure why these changes were made but I'd love for them to go back to what they know and what their regulars come here for. Consistency is key in a great restaurant. If it ain't broken, don't fix it. Great spot with amazing views of the bay! It appears to me that Ozumo has changed and is not the experience I expected. I probably will not return as a destination when bringing customers to San Francisco. Loved!!!!!! Highly recommend. The lobster roll is a must. Food was very good. Loved everything we ordered, but I have to say, our waiter was less than attentive. He really could not have been bothered to assist us with menu choices. The fish at Ozumo is always first rate, but it's absurdly overpriced. I only eat here when someone else is paying (usually corporate lunches). We had an inexperienced waitress for our business lunch who didn't recognize our table placed individual orders and had the food sent out a couple of plates at a time (as if we were sharing). It took about 30 minutes from the time the first plate was dropped for everyone's food to arrive. We never saw our waitress again after that. I had to chase down another member of the wait staff to get our check. To be fair, I've definitely had better service at Ozumo over the years. The poor service on this occasion is not the norm. Great location and great views. Good food. They shouldn’t have changed their menu. 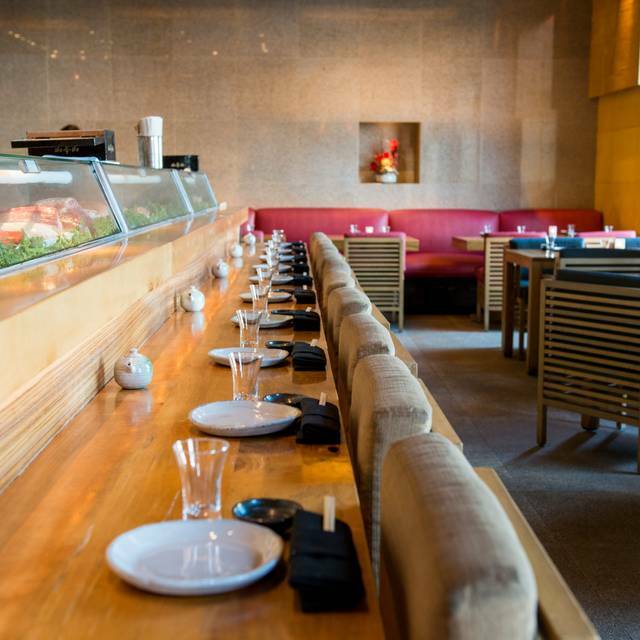 One of our favorite Sushi restaurants in the U.S.! Always a treat. I always enjoy Ozumo when I’m there. Food is great. Ozumo never disappoints! Accommodates all culinary proclivities, even vegan like me. Service always top notch, people really nice, great ambiance. It’s my go-to restaurant. Thanks! 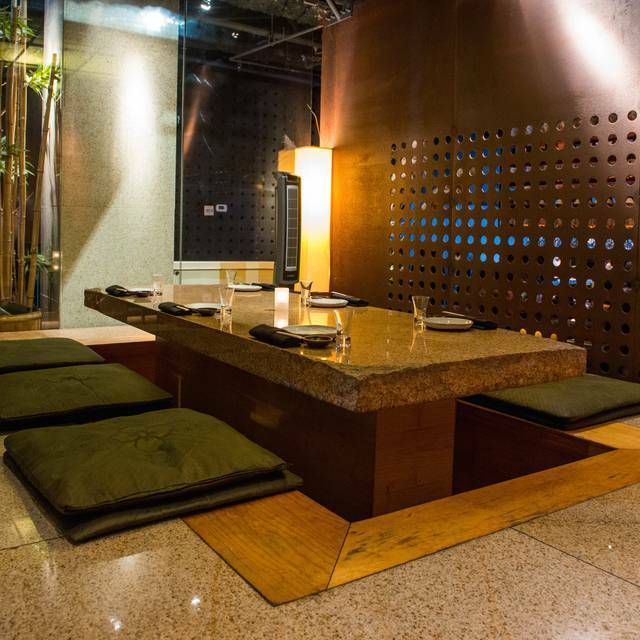 If you are searching for an elevated sushi experience, something extraordinary, with an inviting drink selection and unmatched server attention, this is your place. This is coming from a self described foodie and drink connoisseur, probably someone similar to you. I was hear on business and look forward to my next trip to the area. Would also be incredible for a dinner date with a loved one as well. Excellent food and the most beautiful presentation. Great place for a wow experience and special occasion. Great experience. Too expensive for what you her. After a long day exploring the city, we went for a dinner yo Ozumo, everything was so delicious, our waitress was so nice and kind to us! 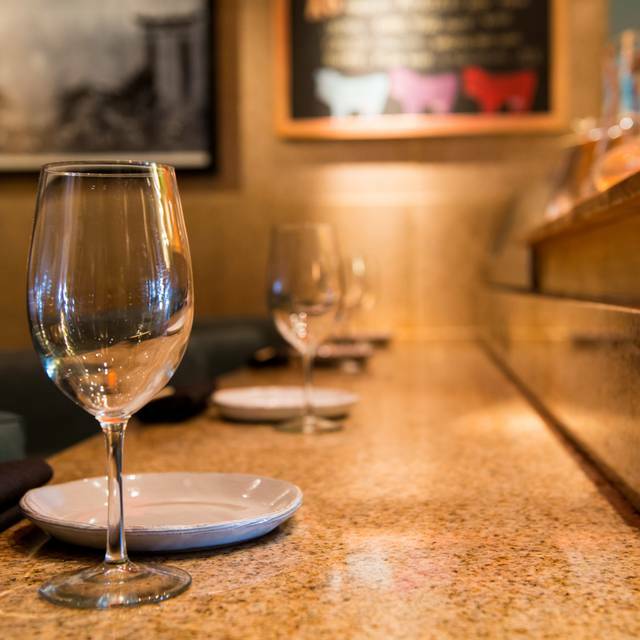 We always feel special when dining here. 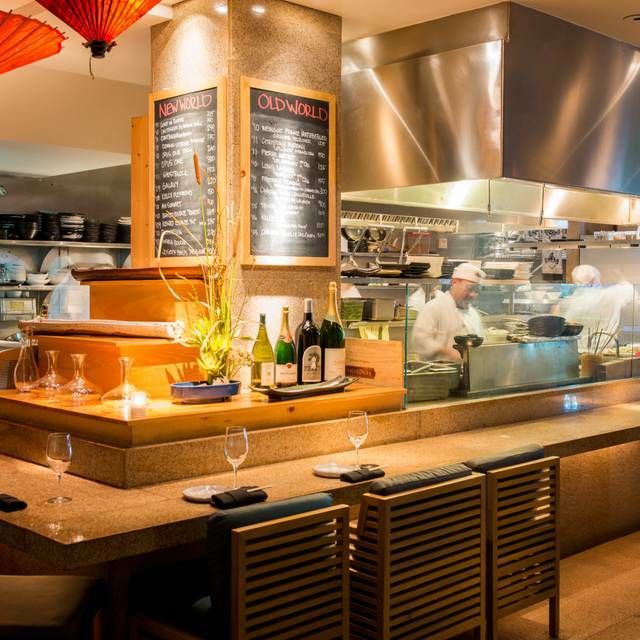 From the valet parking to the hostess to the server and every sushi chef who shouts out a welcoming greeting as we walk through, we couldn't feel more comfortable. The food is excellent, fresh, and reminiscent of what one would have in Japan. I'm partial to the sashami, but the rolls, skewers (especially the vegetables and beef), and miso soup are fantastic. While not inexpensive, it is worth every penny. Our server was outstanding! The sashimi (salmon and white tuna belly) was delicious, you don’t even have to chew, it literally just melts in your mouth. One reason why I only rated the food “3” was because when it came to the dessert, it was unfortunately underwhelming. We ordered the chocolate fondue which comes with a side of variety of fruits and two different pound cakes sliced in cubes. We had the send the chocolate back as after waiting about the 10 min, the chocolate never got hot. The replacement took about 10-15 min to get to the temperature we were hoping for and was able to enjoy it. But for a sushi restaurant like Ozumi, I expected a bit more. I mean, they should have served the chocolate fondue when it’s about 2 min away from being ready to enjoy versus serving it cold and having your guests stare at the dessert for about 15 min before you can enjoy it. We found the restaurant to be very noisy and the prices to be high given the very small serving size. Though we had a reservation, our table was in the middle of floor where people went by us on both sides, creating a hectic feeling. Ozumo is one of the more expensive sushi restaurants in SF, but it has an amazing view of the water, extremely fresh fish, relatively fast service, and great tasting sushi. The miso soup had too many mushrooms for my taste, but besides that, everything was absolutely delicious. Would recommend for a fancy lunch or dinner after work in Financial District/Soma! The staff at Ozumo was amazing! Great food, excellent service, beautiful atmosphere. It was a wonderful evening! Sushi was fresh and delicious. Service was mediocre. We had to ask the bus person to order more drinks twice because the server was nowhere to be seen. The ambience was very nice, great view, however, what you get for the price is sooo average and bland tasting I would never go back or recommend. I would much rather have went anywhere else. Yes the service was great and they have a view, but if you are going for dinner go somewhere else If you are going to just drink, then this is prob worth it bc they have a wide variety of alcohol. Good foods and very nice waitress in charge for our table. Wasnt first seen by the waiter for 20 min after sitting down. Service continued to be slow thereafter. When waiter forgot to give us dessert menus after asking us if we wanted them, we finally just decided to get the bill. Good wait staff - attentive, and great sushi. Delicious! Not great. Felt pressured to order the most expensive items. Limited selection. Long wait to get drinks and food. Sushi not great. Who runs this joint has no common sense , at least what they could done is offer of a free drink or such . Not thar I are really needed but should been some kinda courtesy offer . The quality of the sashimi was excellent. We sat at the sushi bar as we only wanted nigiri /sashimi but orders were being taking by the wait staff which was different from other sushi restaurant. The sushi chef Max was accommodating and took our order as we placed them a couple at a time.